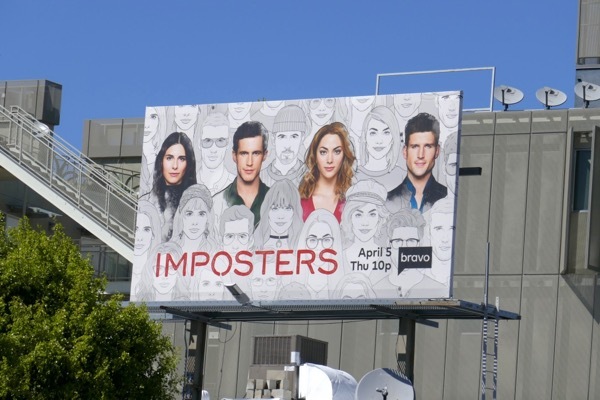 Bravo's dark comedy Imposters had a simple premise, 'Maddie' (played by Inbar Lavi) was a con artist who stole people's hearts and robbed them of everything of worth before disappearing without a trace. 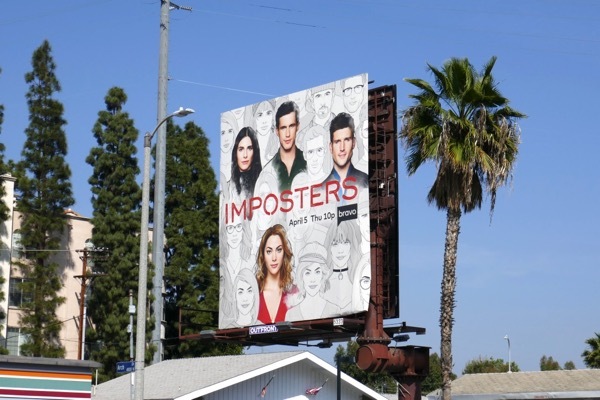 She didn't discriminate and men and women were her targets, and so three of her victims, 'Ezra', 'Richard' and 'Jules' (played by Rob Heaps, Parker Young and Marianne Rendón), teamed up to track her down, pulling their own con jobs along the way to get their revenge. 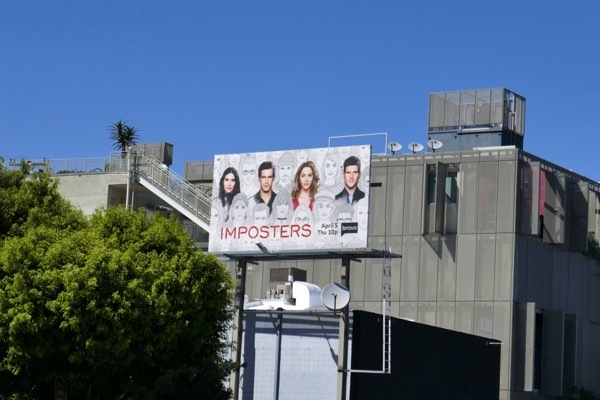 These season two billboards for the grifter comedy were snapped along Sunset Boulevard, Fairfax Avenue and Ventura Boulevard from March 27 to April 4, 2018. 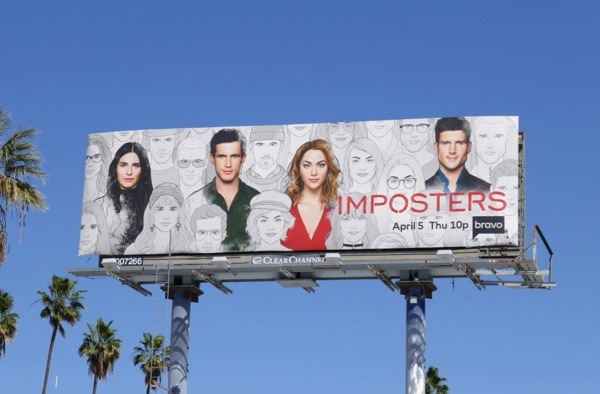 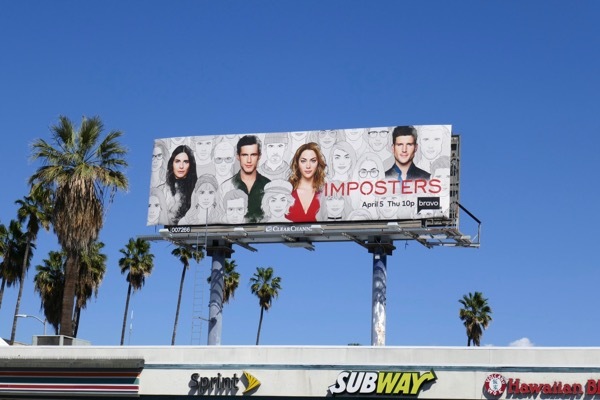 Fans of the original Bravo scripted show can also enjoy these season one billboards for Imposters. 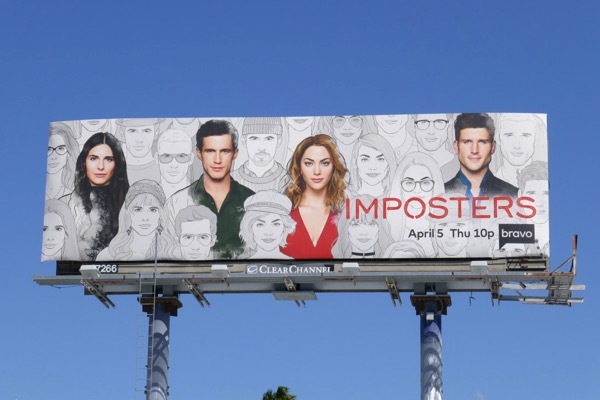 Disguises, scams, con jobs, secrets and lies, will these Imposters be able to steal your heart for a sophomore season?